I think this one is pretty important. 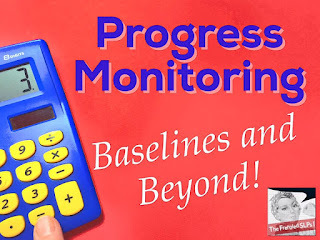 When I am doing progress monitoring, I want it to be a snapshot that I can compare with another snapshot. Whenever possible, I try to use the exact same items when progress monitoring. For story retelling or answering questions about stories, I try to stay consistent with the types of stories that I use. For example, I may use a Fall Matt and Molly story in September, and then use a different Winter Matt and Molly story in November or December. Because the stories are very similar in their style, I am not worried that the results will be radically skewed. I know that there will be 10 yes/no questions and 10 wh questions that all target similar details in the stories. There are four pictures, and simple text, which make these great for early story tellers. For articulation, I use items from my Articulation Progress Monitoring Kit. 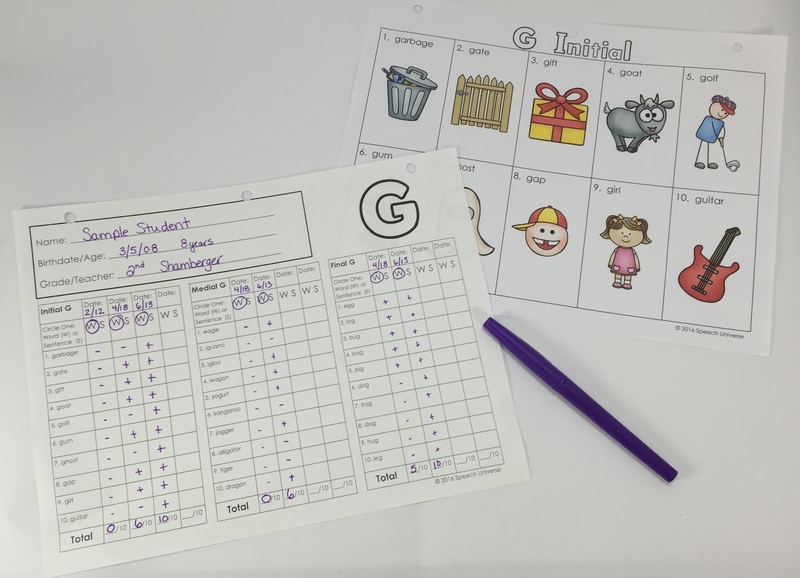 With these pictures, I can use the exact same target words, and watch progress over time with the exact same words. This has helped me out tremendously. The last thing I want to do is completely skew my data into showing growth that isn't really there. I may work on synonyms as a goal. If I only focus on the same 10 synonyms over the course of 8 weeks, chances are pretty good that my student will make some pretty good progress on those 10 words. I don't want to only focus on those words if I am going to be tracking data over a whole year. I may focus on 10 words in those 8 weeks, but my progress monitoring will not be only those words. I will have a set of possibly 25-30 words that I will progress monitor over the year. As the year goes on, it will show progress over time. If I only progress monitor the words that I teach those 8 weeks, my data will probably always show 80% or greater accuracy. I won't be able to show progress that way. I like to put progress monitoring right in my planner. I simply remind myself that I have to progress monitor my students during that week (typically the week before my reports are due). When I plan it out this way, I am less likely to miss a student because of possible missed sessions. I will still have time to grab the student if I miss them. Progress monitoring doesn't have to be fancy. A great example is when I work on increasing sentence length, working on pronouns, or working on verbs. 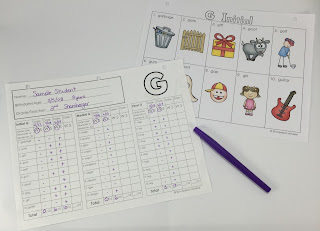 I have a set of Autism and PDD Photo cards for WH questions that I love to use to target a variety of goals. I made a simple chart for the What Doing section of these cards. When I want to progress monitor, I simply pull out my cards, and check off the table as I go through the cards. On the top of the page, I write what my target goal is. For example, sometimes I may work on the pronouns he, she, or they. For another student, I might work only on the verb +-ing structure. I can use the same cards for multiple reasons, as long as on the top of the page, I make sure I know what the goal is. If you have these cards and would like to use this chart, you can get it HERE. No need to make this difficult on yourself! Follow the above tips to help you keep it simple. 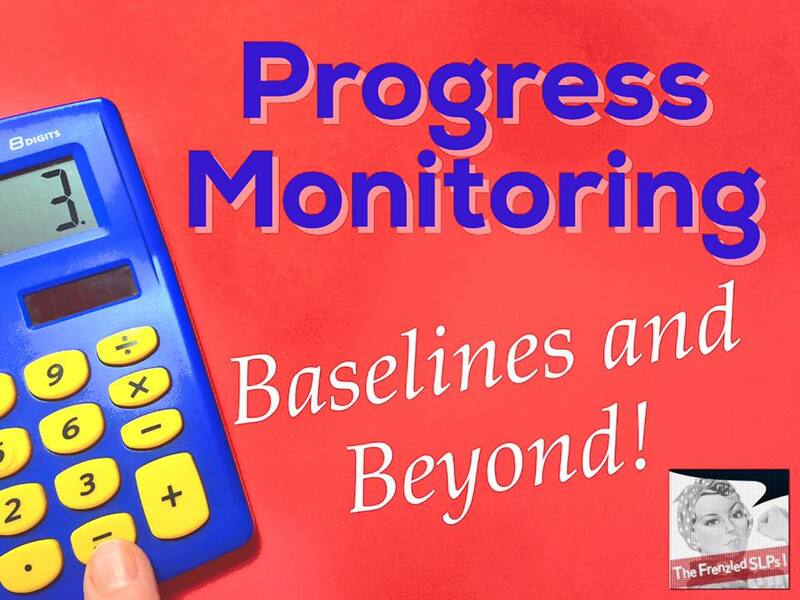 You can follow this linky to grab a lot more tips for how to progress monitor! I love the multi-use cards and the tip for using what you have! Fantastic suggestions! Thanks so much. What great tips! I especially love "use what you have"! Completely agree that it is best to use what you already have! That helps toward keeping things simple. Great tips. Keeping it simple and being consistent are so important! Love the practical tips! Radically skewed is a great concept for inconsistent SLP data. This is why I keep telling myself to try progress monitoring using a consistent approach. Love your tips and your resources!